The smart way to get into cryptocurrency. Fair Fees: No management, entry, or exit fees. 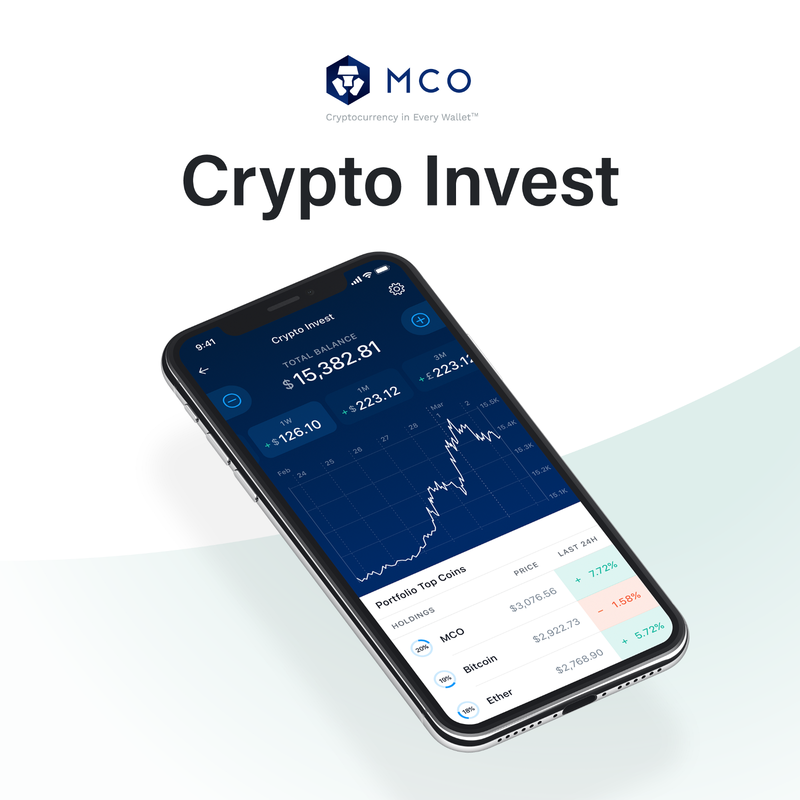 Instead, MCO earns its fees when you make money — or as lawyers would have us say — the value of your portfolio has grown greater than its initial value. MCO Utility: Allows customers to receive a 50 percent discount on all Crypto Invest fees if paid with MCO Token. Each portfolio will hold a portion of MCO Token. More information about the CRYPTO.com’s MCO services and benefits can be found in the MCO Whitepaper 2.01. Further details of the of the beta testing and subsequent launch will be coming soon. Note: This announcement does not constitute the provision of investment advice and is not an offer to sell or a solicitation of an offer to purchase interests in any fund or investment vehicle, please seek qualified investment advice as needed.